At the end of the day the IRS will not leave a voicemail on your phone asking you to call back to any number. They also will NOT ask for your bank account or credit card information to make a payment on the phone, they will however point you to IRS.GOV website and tell you to make a payment online. Also the IRS almost always sends a letter of correspondences as the 1st point of contact on any tax issue. Think about it, if they called the 2.4 Million people estimated to be in USA to talk about tax issues they would need a lot more workers and spend a lot more money and the IRS is all about collecting money not spending it. 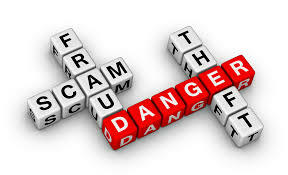 If you get one of these calls or messages, hang up and call your accountant or the IRS (1-800-829-1040 or 1-800-829-8374), do not give your information to them or pay them any money!